Let’s face it, there’s a lot of written website content out there. Like, a lot. And truthfully, only more is coming. Since everyone knows content is the “thing to do,” how do you gain an advantage over your competitors? The answer lies in creating great content for your business 0r brand. Copy that reads well, flows well, entertains, answers questions and provides value. Now that we’ve established that, it’s time to face reality – your writing needs some work, am I right? So how do you get to the next level? The key to improving your content is realizing that great writing doesn’t usually come down to one insanely big hook or a never-before-seen topic idea. Better content creation comes as a result of mastering the small, simple, (and sometimes dull) parts of the writing process. I know, it’s probably not what you wanted to hear. Welcome to real life! But the good news is, it’s not all hard work. There are some pretty amazing online writing tools to help you stay on task, speed up your writing, check your quality, increase your accountability, and even gamify your experience. 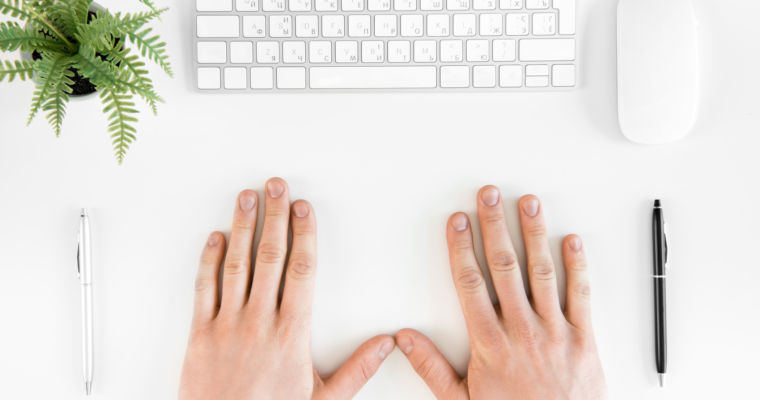 Here are nine essential writing tools to help improve your content. While people don’t necessarily go out of their way to praise an article for having proper spelling and grammar, they certainly will condemn an article for lacking it. Small, seemingly obvious errors in your content can quickly discredit any other useful information you may have provided. The hard part is, it’s not always easy to catch those errors on your own. To keep your sentences sharp and your voice active, download Grammarly’s free browser extension. While it is ostensibly a grammar and spellchecker, Grammarly takes its paid version a step further, providing word variations and checking sentence structure and voice. It also performs its duties anywhere you write on the web, whether that is Google Docs, Twitter, or Facebook. This is a boon if you want to expand your social media presence, as it will help you construct error-free posts. 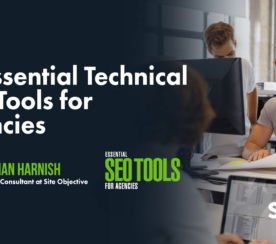 When it comes to writing, you can never have too many tools to help with quality assurance. 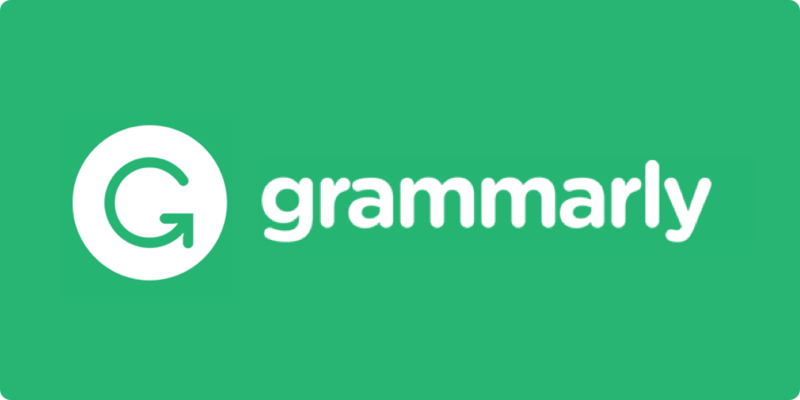 Grammarly is an easy-to-use, free tool that everyone on your team can utilize to improve overall quality, no matter the online medium they are working with. Creating readable content will set your writing apart. Readable content forgoes jargon for simple language, ensuring the reader understands the message an article is trying to convey. Online content typically calls for shorter sentences and smaller paragraphs, which promotes easy reading and allows the eye to scan the webpage. Use the Hemingway Editor to test your content for readability. The free app grades content and provides improvement suggestions. The editor detects passive voice, counts adverbs (fewer is better), and tells the writer if certain sentences are hard to read. Keep in mind that “readability” can have slightly different meanings, depending on who your target market is. While this is a great tool to help keep things simple and flowing, there are always exceptions to the rule that should be addressed as necessary. Many assignments come with a predetermined word count. Write 350 words for this blog post. Create 1,000 scintillating sentences for that article. Wordcounter does as the name suggests, counting the words you create. It also counts characters, sentences, and paragraphs. But, wait, that’s not all! It measures reading level, letting you know how easy your passage is to comprehend. Wordcounter even estimates reading and speaking time. Want to know how long that speech might be? Wordcounter will give you a good idea. Lastly, it can help you spot those words that you overuse, all too often. For instance, I ran this article through the counter and it shows one of my top words is “content,” inserted 16 times. Well, 17 now, but who’s counting…? When it comes to word repetition, it doesn’t take much for your readers to start counting. Repetition of words (or ideas) is a surefire way to slow your readers and break the flow of your writing. Once you identify repeated words, you still must come up with synonyms to replace them with. The One Look Reverse Dictionary can help with that. This tool is like a thesaurus on steroids. You can use it to discover lists of similar words, but One Look’s bigger benefit is the ability to search for words by their definition. For example, if all you could come up with for a description was “small boat,” a standard thesaurus might redirect to “sailboat” or provide no synonyms at all. With One Look, you can choose from more than 100 returned possibilities, including the proper names of several small boat types, including skiff, canoe, and rowboat. Every writer relies on a tried and true cliché now and then. Too many clichés too often, though, and your writing grows stale. While an occasional cliché is inevitable, it can be remedied. Use Cliche Finder to identify often-used phrases in your writing. 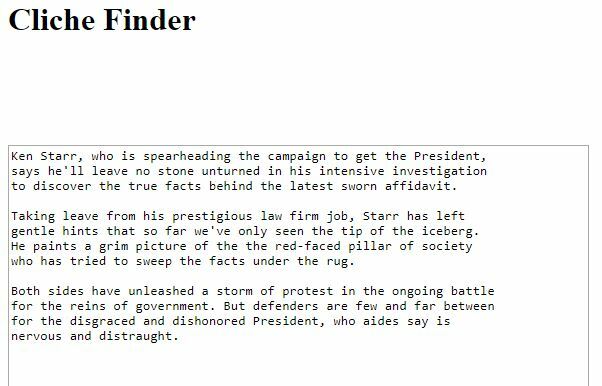 Paste your copy in the Cliché Finder’s text field and submit. Results will highlight any clichés you may have used, giving you the opportunity to replace them with a more original copy. Procrastination is the writer’s natural enemy. 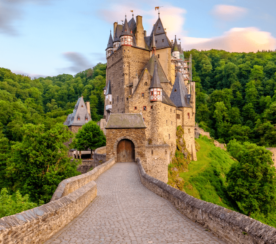 The internet, with all its nooks and crannies, can easily send you down a rabbit’s hole that your current writing projects may never recover from. As much as you might want to, you can’t call those five hours you spent on Pinterest research. Google Chrome offers a browser extension that can help. 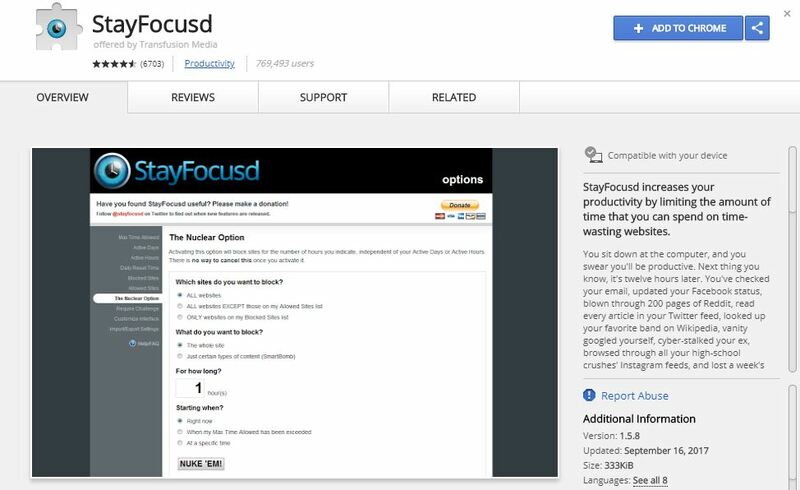 Called StayFocusd, the app lets users disable web browsing temporarily, allowing the user to work solely on the project at hand. It offers choice, as well. 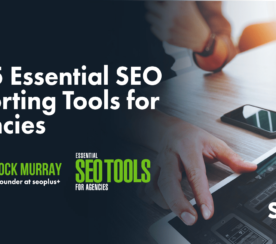 Block web browsing altogether, for example, or allow access to certain websites and digital content (like your nine essential writing tools). You can even customize it to only block certain types of in-page content – like games and videos. 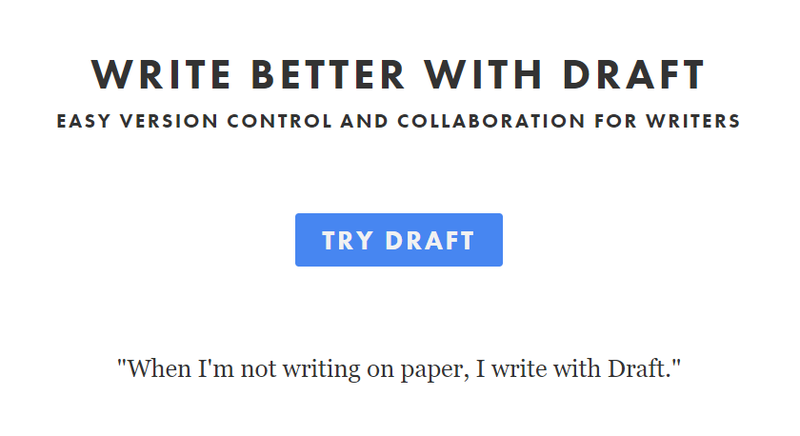 For the adventurous writer, Draft is an online collaboration tool that allows writers to work together in real time. This is a great alternative to Google Docs if you’re wanting an interface that helps to reduce distractions but still allows you the ability to accept or decline changes from other users. One of Draft’s coolest features is its “mark draft” button, which allows you to save a story draft and then keep working. Save four drafts and then compare those drafts side by side in four writing panes. Draft also does a great job of gamifying your writing experience (and who doesn’t want that?). It tracks the number of words you write each day and sends email reminders to help you meet your daily word count goal. When you’re working from home in sweats and slippers, it helps to have a little accountability and encouragement, no matter where it comes from. There are dozens of blog tools available to writers and content marketers, but Wattpad is different. Wattpad is a community of writers and readers who work together to build better content. For serious fiction writers, this is a great place to show your work and gain valuable feedback. You can use the site to hone their skills. Today, the best content marketing is all about telling stories. Studying and creating fiction can translate into more engaging case studies and corporate video scripts. On Wattpad, readers will let you know if you are doing it right. 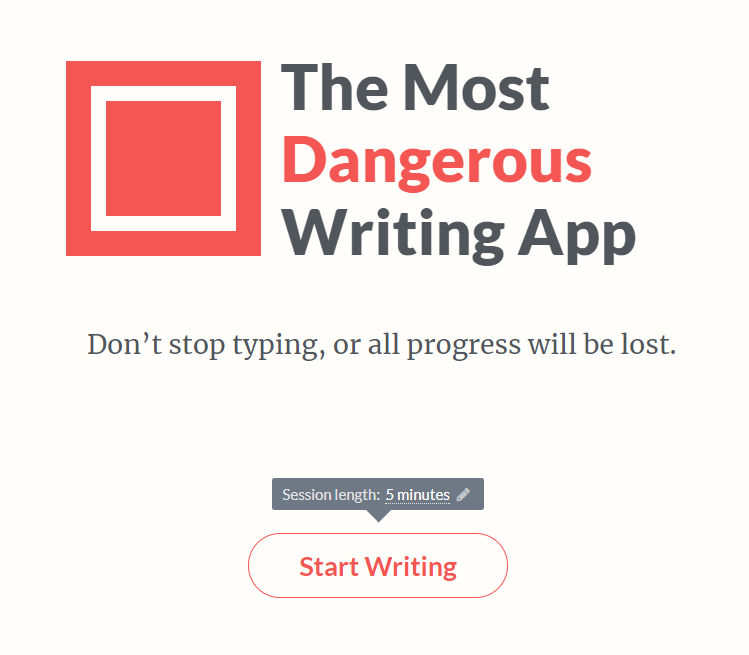 Finally, only the bravest writers will take on The Most Dangerous Writing App. This tool forces writers to keep going or else suffer the loss of their entire draft. You read that right. Pause too long between sentences and the app will erase it all. 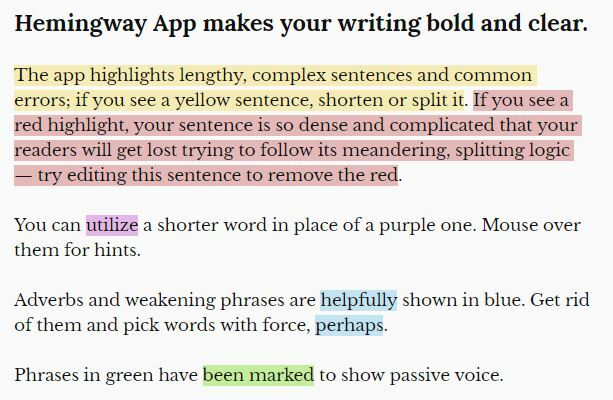 The app’s goal is to force writers to shut off their inner editor, that little voice that tells you to stop and rewrite a sentence, and go with the flow. Once a writer passes a predetermined writing time, from three minutes to 60 minutes, they have the ability to save their draft. Remember, writing for the web is usually more complicated than just sitting down and stringing together coherent thoughts in a blog post. Setting yourself up for success in the first place is half the battle. If you can reduce distractions, automate your editing checks, collaborate, and learn to power through your first drafts you’ll make some serious headway. It also can’t hurt to try some creative approaches to traditional writing methods to aid you in overcoming areas where you struggle. Using the tools mentioned can help you do just that.